When it comes to releasing a new product one must be careful to select the proper time. Holidays are very tricky to do I always struggle with which one? I didn’t want to be another pumpkin spice on Octobers shaving soap line up. I wanted something a wet shaver could use at any time but yet remember back on how he or she received it. So I never really set my sights for releasing anything until a few months ago when I came across an article explaining how barbers operated shops back in the 30,40, and 50. It went on to explain how they operated and what were the interesting variety of fragrances back then. Some were created by the owners which gave them a unique scent only found in their shop while others purchased from large manufacturers. So in creating our own we didn’t want to have a repeat of our modern barbershop so we looked for something more unique something from that time period. 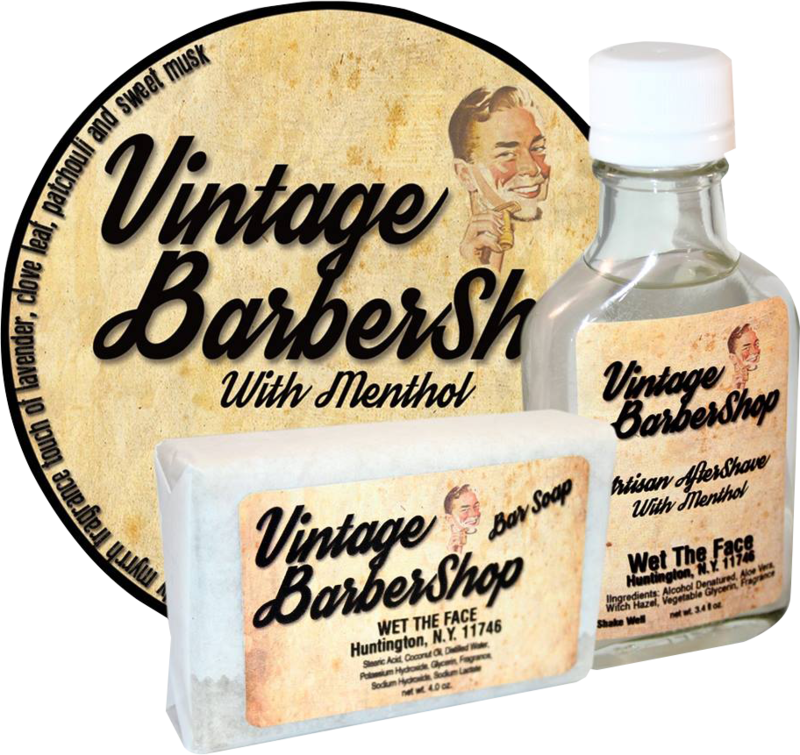 After going through about a hundred variations we think we’ve come up with an amazing combination that we are calling Vintage Barbershop. Not your ordinary powdery kind but one that stands out from all the others and we picked Fathers Day for it’s official release but it’s on sale now so you can get it time. We hope you enjoy this new addition to our shaving soap lineup.